Yay! I picked up my Christmas cards from the printer yesterday and am thrilled with how well they turned out. They’re blank inside so you’re free to add your own personal message. 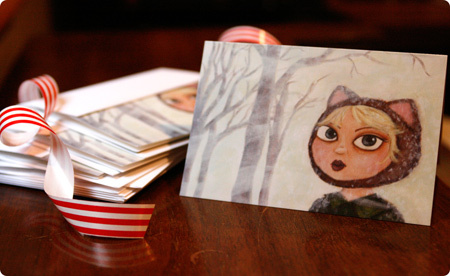 I’m planning to use them for the holidays, but I think this foxy gal would make for sweet correspondence all winter long.